Cambridge Audio supports music charity with pay-what-you-want earphones | What Hi-Fi? Cambridge Audio is selling 1000 pairs of its limited edition SE1 in-ear headphones to raise money for the Youth Music charity. Here’s a novel approach to product development: Cambridge Audio’s technical director Dominic Baker decided to create a new pair of earphones as a “passion project” to share the company’s sound with close friends and colleagues. They were never intended to go on sale. But then the company heard about Youth Music’s work with thousands of children nationwide, and decided to raise money for the charity by making 1000 pairs of SE1s available on a pay-what-you-want basis through the Cambridge Audio website. The SE1s would be worth around £150-£250 on the open market, the company says. 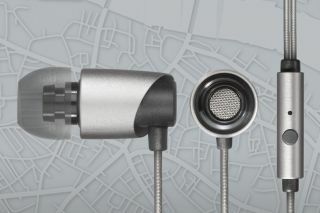 The idea to sell the earphones in this way was inspired by rock band Radiohead, who launched their In Rainbows album by inviting fans to pay what they thought the music was worth. All proceeds will go to Youth Music, which invests in music-making projects for children and young people facing challenging circumstances. These challenges include poverty, disability, mental health issues, refugee status or being brought up in care. The Cambridge Audio SE1 headphones use a custom-made 8mm Beryllium speaker driver and come with four sizes of silicone tips, plus three sizes of premium Comply tips. They are available to buy now (while stocks last) from www.cambridgeaudio.com.